Environmental Science 101 uses Process Oriented Guided Inquiry Learning, systems thinking and system dynamics as a platform for exploring our environment and the ecosystem services of our planet. The course has hands on labs for exploring the carbon, water and nitrogen cycles, sustainable agriculture and hydroponics, and alternative energy. We have a dedicated outdoor lab for stream restoration that connects students to our local streams as well as to our community. Visit our Facebook page to see what students are doing! 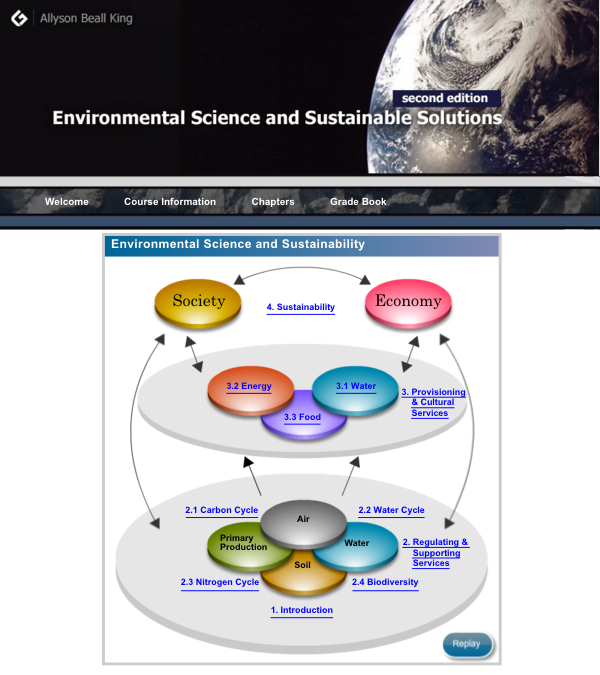 WSU Course Designation: 101 [BSCI] [B] The Environment, Human Life, and Sustainability 4 (3-3) Interactions between humans and their environment; multidisciplinary introduction to environmental concepts and concerns.